Electric generators offer a portable power solution for businesses that typically operate at remote jobsites, such as construction operations and roofing projects. They can also serve as a reliable backup power source for small businesses, such as restaurants and retail stores. And in today’s climate, where emissions compliance is essential, electric generators provide a cleaner and more environmentally friendly alternative to equipment that burns fossil fuels. 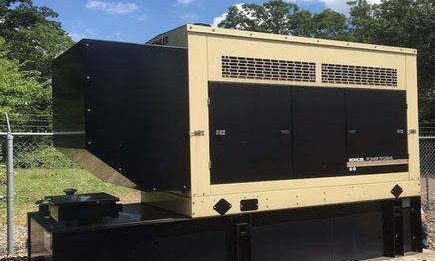 You don’t have to make a major investment in a brand-new generator to meet your portable power generation requirements. Here at Woodstock Power, we can provide a dependable, hard-working used electric generator at a fantastic price. Whether you’re looking for one generator or several, we can offer an affordable solution that will help you meet your project goals without breaking your company’s budget. A generator is not the type of equipment that allows for any margin for error. You must be absolutely certain that it will be able to perform whenever and wherever you need it. That’s why we only offer used generators for sale that were originally produced by leading manufacturers with a solid reputation for quality and long-lasting performance. We also take the time to refurbish the equipment to like-new condition and thoroughly test it to verify that it’s ready to deliver when the time comes. While some online equipment suppliers simply give you a list of products and let you do the rest, all of us here at Woodstock Power are willing to go the extra mile. Our knowledgeable team is available by phone or email to answer your questions about any used industrial electric generator in our inventory. With our expert guidance, you can make your purchasing decision with total confidence. Are you used to having to wait several days or weeks when ordering any type of equipment for your business? You will never experience slow shipping when you order used electric generators from Woodstock Power. All our generators are available for immediate shipping to virtually anywhere in the USA. We can also arrange to have your generator installed and configured, if that’s something you desire. 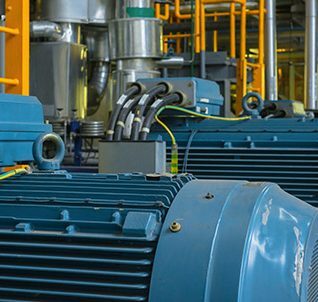 Located just outside of Philadelphia, PA, Woodstock Power provides a wide range of cost-effective, reliable power generation equipment solutions for companies throughout the United States. Our expert staff can also provide additional services for our customers such as installation, decommissioning, power consumption planning and more. We have the capabilities to take on any project, regardless of size or scope. Discover what makes Woodstock Power different from other power generation equipment providers. Contact us to learn more about our selection of used electric generators for sale. If we don’t have the product you need in our current inventory, we can find it for you quickly!